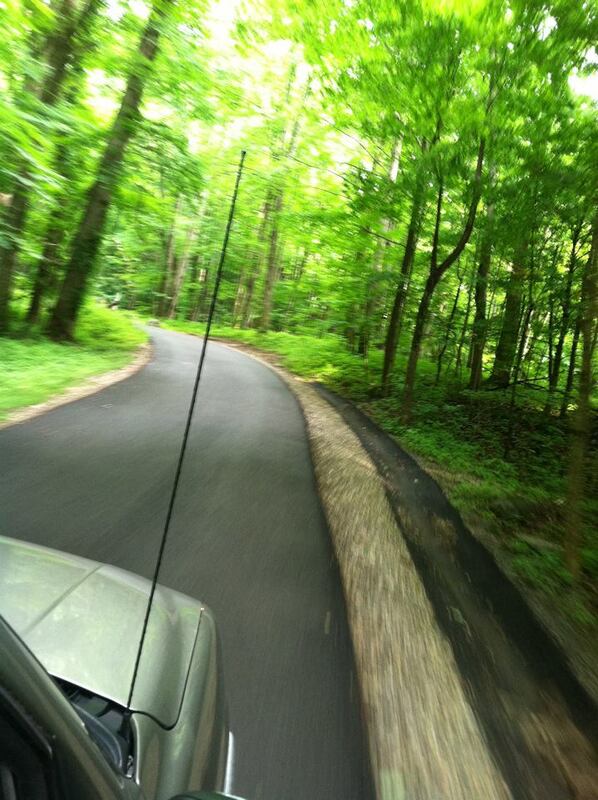 Running away from home to Gatlinburg, TN….perfect! My husband and I had the rare opportunity to run away from home for a few days. 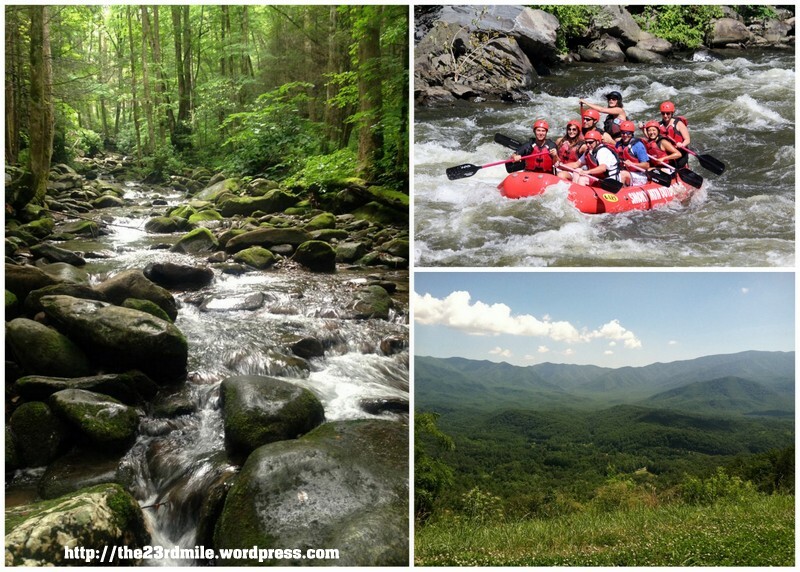 We decided on Gatlinburg, TN as our destination….it is absolutely beautiful there! We had only been there once before when our girls were little(you know one of those time share deals). So I quickly Googled places to run and things to do in Gatlinburg. Having no children with us, our priority was relaxation! Gatlinburg proved to be the perfect place for this. 3 of my favorite photos from our trip. 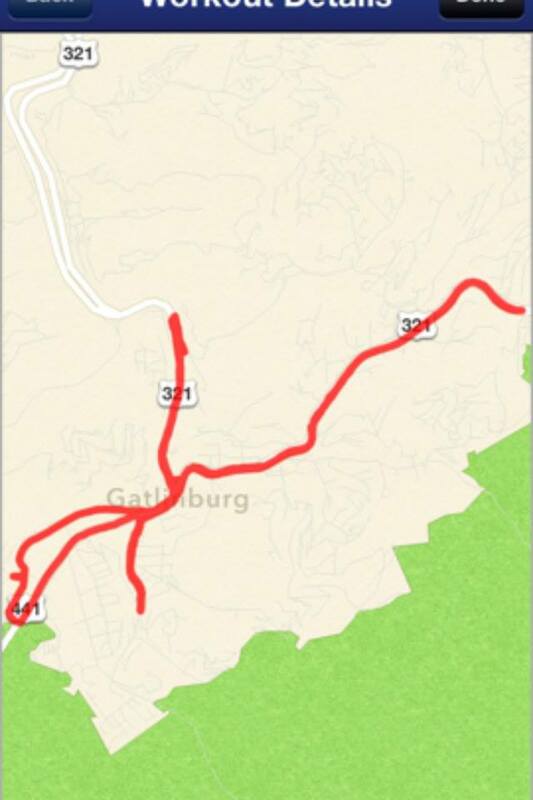 My Google search for “where to run in Gatlinburg, TN” suggested Roaring Fork or Cades Cove. At Roaring Fork, the view was beautiful, but I don’t recommend it unless you enjoy the smell of car exhaust and the possibility of falling down a ravine. At times there were many cars stopped or driving slowly, and the road isn’t wide enough for cars AND runners. It MAY be a possibility if you get an early morning start, but I wouldn’t chance it. My Roaring Fork view from the car….notice the narrow road. Cades Cove was another option, and was first on our list! We were looking forward to the scenery, hopes of spotting some wildlife, and the 11 mile loop was going to be the perfect distance. Click here, and you’ll see why we wanted to run there…so pretty! • Cades Cove Loop Road is closed to motor vehicles on Wednesday and Saturday mornings until 10:00 a.m. from May through September, so that would be the best time for a good run. We actually never made it to Cades Cove. Not realizing that Cades Cove is located 45 minutes from Gatlinburg, I had made an appointment for White Water Rafting with Smoky Mountain Outdoors(45 minutes the other direction) that afternoon. Cades Cove would have been about 1 1/2 hours from our appointment, and we didn’t want to spend a lot of our day driving. There is also a Community Center in Gatlinburg with a gym for treadmill running and I read that there is a school located close by with a track. and that is where we chose for what ended up as a 10 mile run. It was the perfect way to see the “sights”. If you get started early enough you miss all the crowds. 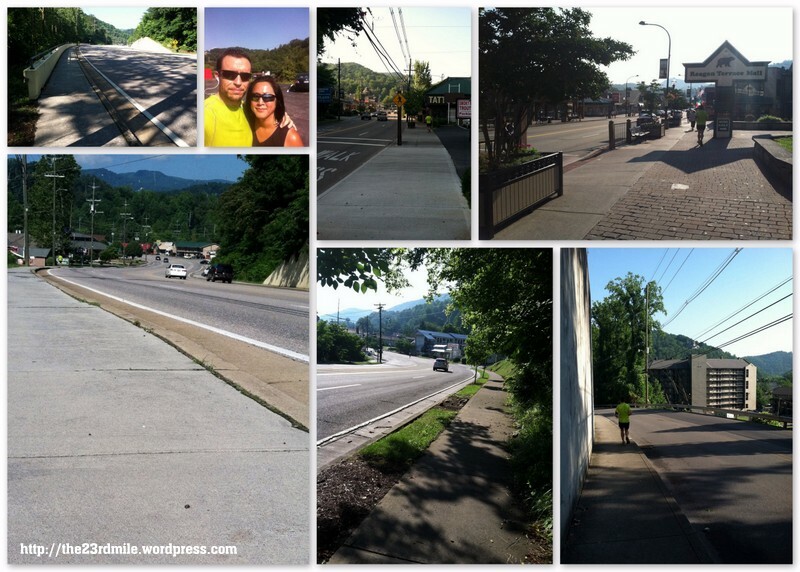 We both agree…this Gatlinburg run, was one of our all time favorites! We stayed in a beautiful little cabin, the Falcon Crest, located in the arts and crafts community. It was located about 10 minutes from town, and was very private and peaceful. 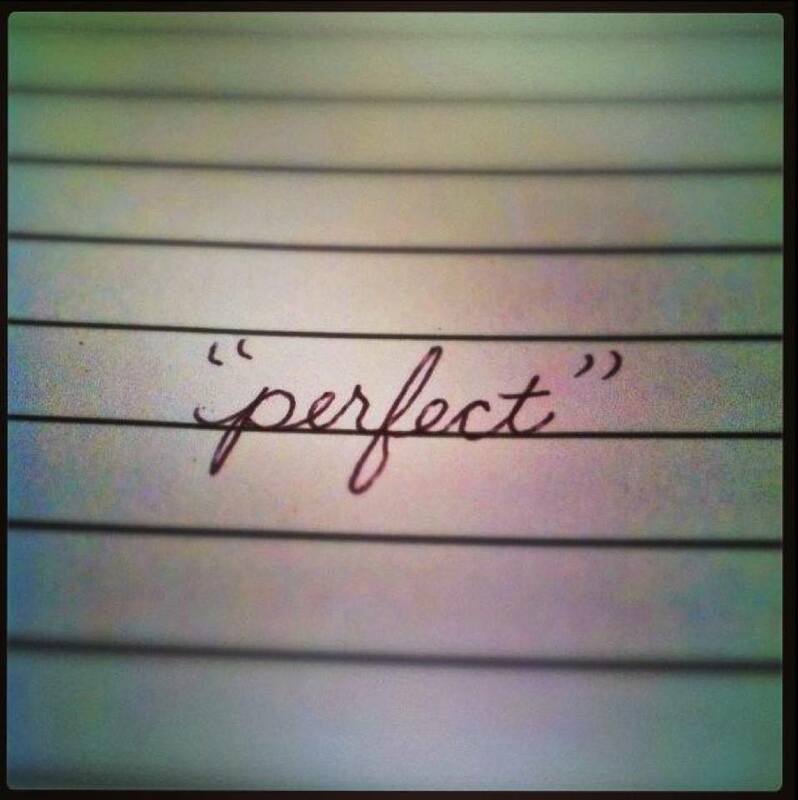 It was just what we were looking for and I would highly recommend staying there. If you need more room, they do have 4 more cabins of varying sizes available. If you’re going to run away from home, Gatlinburg is the perfect place for it! How do you find a good route when you’re away from home? Where is your favorite running destination to date? Categories: running | Tags: Cades Cove, cove loop road, Falcon Crest, Gatlinburg, Gatlinburg Tennessee, gatlinburg tn, Roaring Fork, run, runners, running, Tennessee, things to do in gatlinburg, vacation, where to run in Gatlinburg, white water rafting | Permalink.